Board-certified breast surgeon Lynn Canavan, M.D. and her staff believe that education of patients and their families is the first step to recovery and survival. She will focus on accurate diagnosis and explanation of all available treatment options. 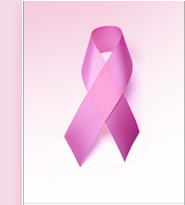 Texas Breast Specialists takes pride in offering the latest technology for the treatment of benign and malignant conditions. Visit our Procedures page to learn more about our services. Celina TX, Plano, Richardson TX, and Garland with breast cancer information, breast cancer awareness, and breast cancer surgery.